Sometimes it occurs, that the archive becomes corrupted. It may happen on different reasons: the incorrect block on the hard drive, the system error during archiving procedure, not complete downloading of the archive from the web-resource. In this case we may try to repair archive using WinRAR and to restore its content. In this article I will describe precisely how to do it, step-by-step. At first, I would like to warn you, that far not each archive can be restored. 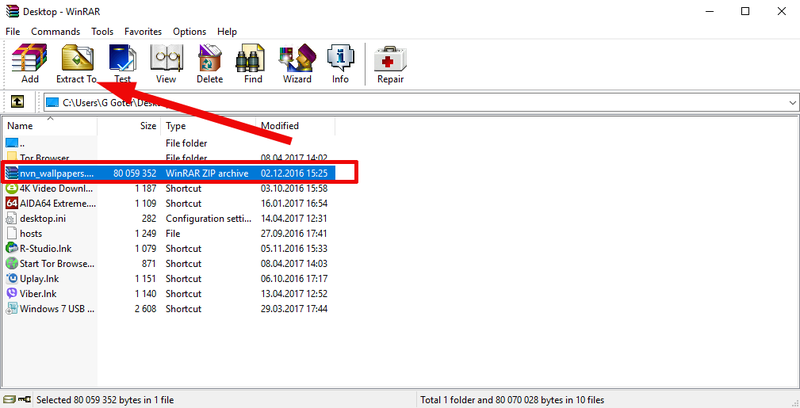 If the info for restoration was not added to the archive during the file creation, the chances to success approach to zero. 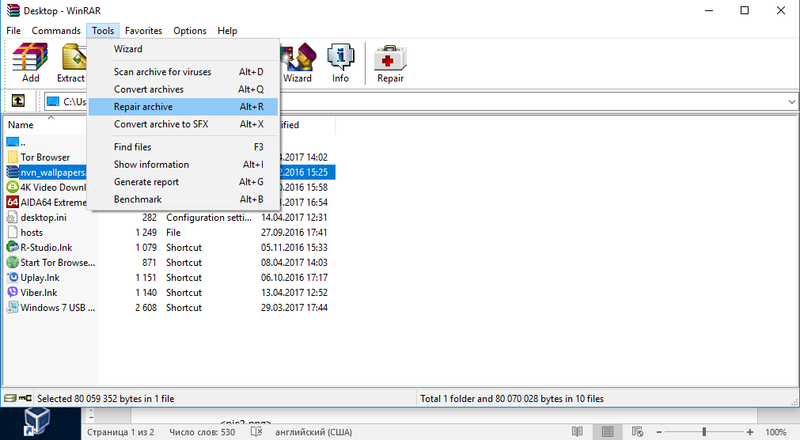 Also make sure that the size of the archive is equal to the size of the source archive – in fact, the connection loss could occur, and the file was not downloaded from the web completely. If the archive is not opened due to incorrect password, this case is solved: just use the Advanced Archive Password Recovery utility in order to restore a password if you have forgotten it. No matter how complex the password is, anyway it can be restored for proper period of time, just preserve patience. 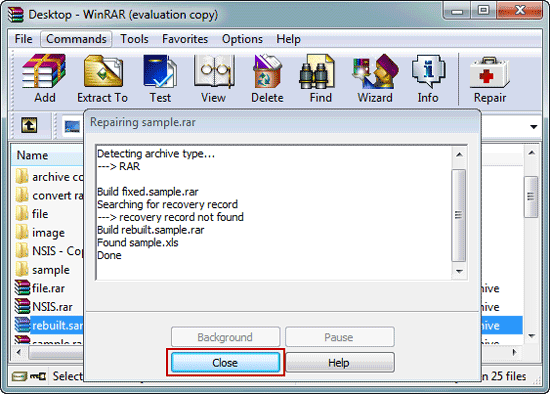 The archive repair feature is embedded into WinRAR shell, so you don’t need to apply any external utilities for restoration. after that a new dialog appears. In here you may define the location where you would like to save the archive after fixing the error. Make your choice and click OK.
soon, when the fixing procedure is completed, search for the file name rebuilt.rar. 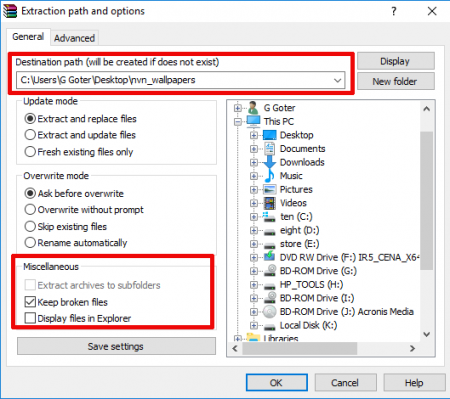 This is the restored file which you have resulted from the fixing procedure. If the archive was not corrupted really seriously, the chance to restore the info is very high. Otherwise, don’t expect too much from this functionality, - some errors simply cannot be fixed, and there is nothing you can do with this. click OK to start the extraction routine. 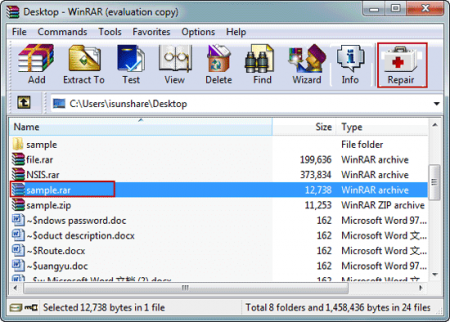 If the error messages are encountered during the process, ignore them and open the folder with the extracted files. Inside of it you should see the processed non-broken files of the corrupted archive. 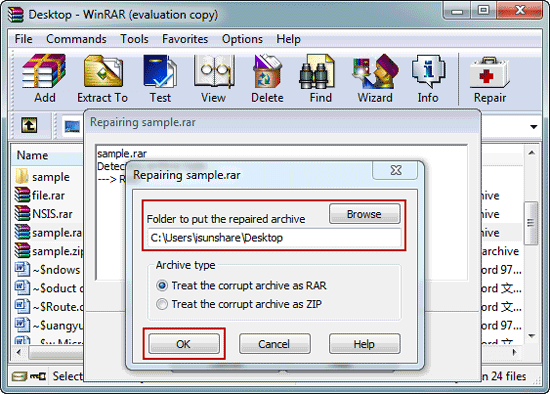 I hope, you could catch an idea, how to use WinRAR to repair corrupted file. 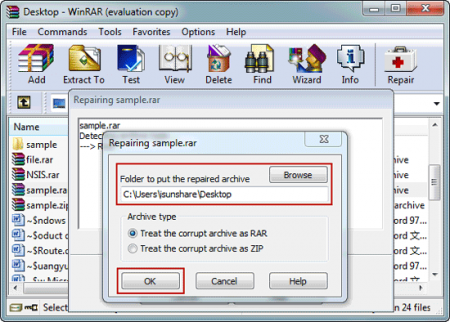 Using this feature, you may restore not only RAR-file, but also ZIP-archive.